Originally this space was a combined kitchen and utility room, but Cannadines was asked to open the whole area up to give the customer the room he needed to both prepare food and serve any dinner guests. To accomplish this, the utility room was split in half with a glass door fit to discreetly separate the two. This door was placed on rails that enables it to slide into the wall, adding some extra space. 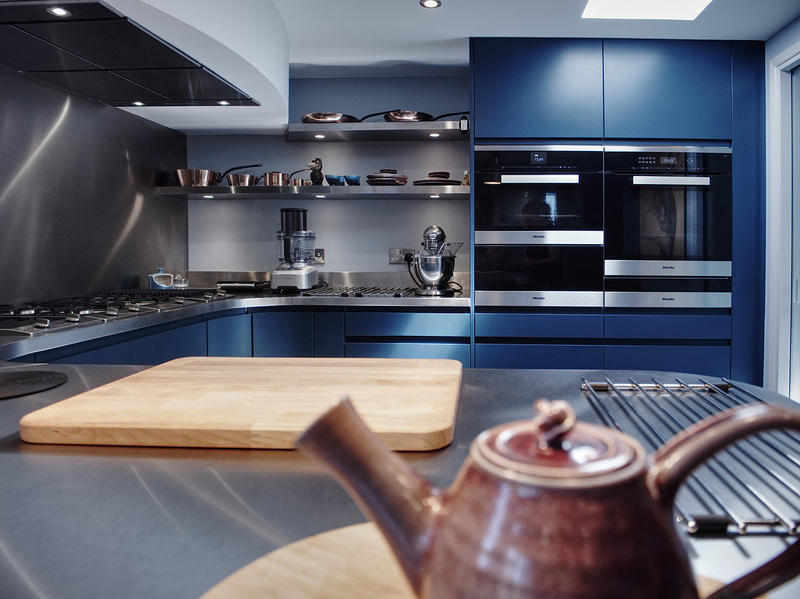 The appliances are all absolutely state-of-the-art, with the client specifically requesting that everything come from high-end domestic appliance brand Miele. These included: a built-in refrigerator; a fully integrated dishwasher; a clean steel warming drawer; a Pureline oven; a ceiling extractor and panel set; a vacuum drawer; a warming drawer; and two sets of hobs. The kitchen units come from Sheraton, with a tall bank of cupboards placed along the back wall with additional room for two large oven housings. 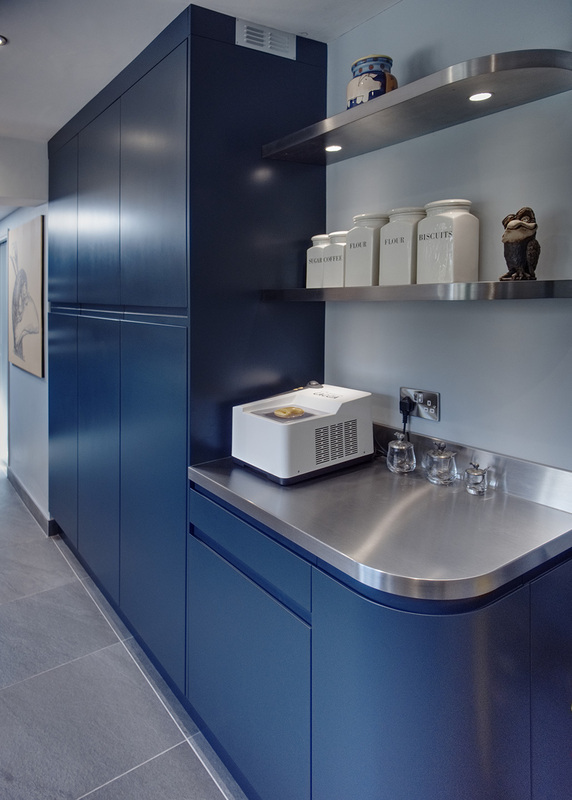 The units – handless ‘J-pull’ doors, are all finished in a classy Oxford Blue. 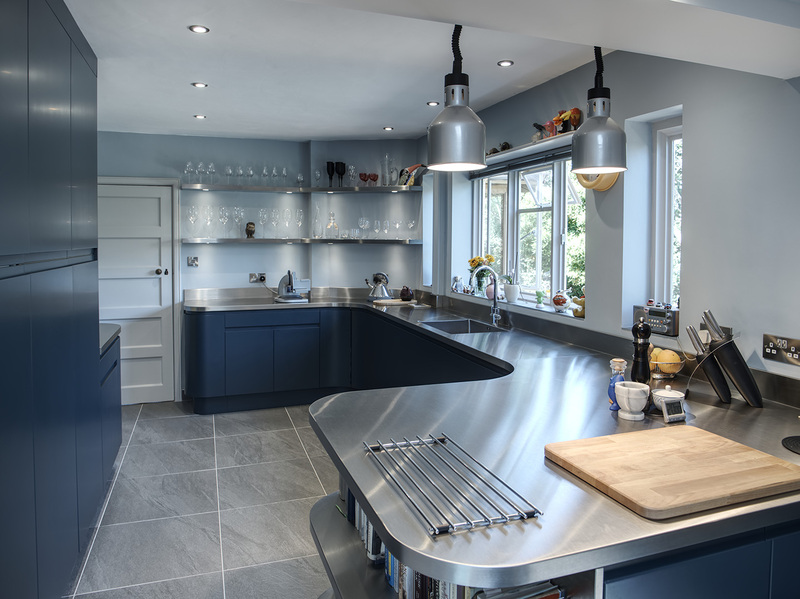 To finish off the professional feel of the kitchen, the customer requested that stainless steel worktops were installed on top of each unit. 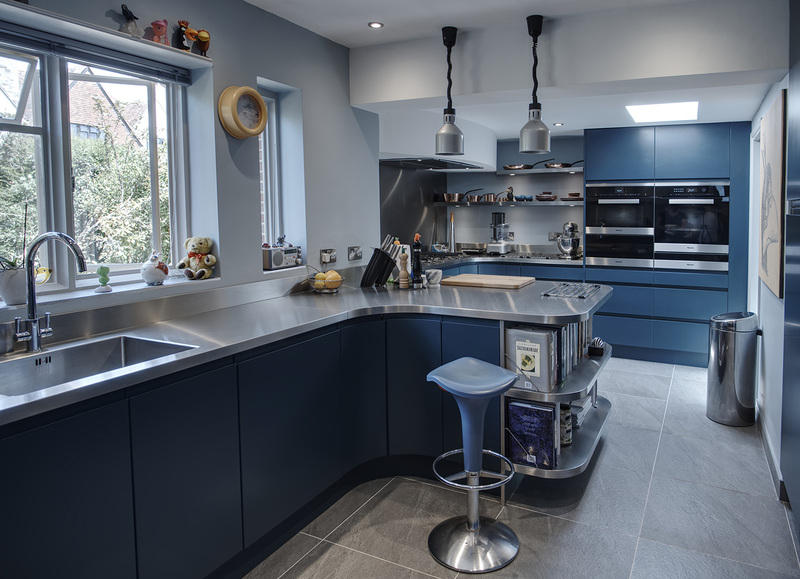 This kitchen was one of the more interesting projects we’ve undertaken in the last few years, resulting in a huge transformation that left our customer with the kitchen he always dreamed of.